Google has recently updated their Hangouts Chrome Desktop App with a new look, but most of its users are not satisfied with the new look as it consumes lot of desktop display space. So in this article we will show you How to Change User Interface of Hangouts Chrome Desktop App. 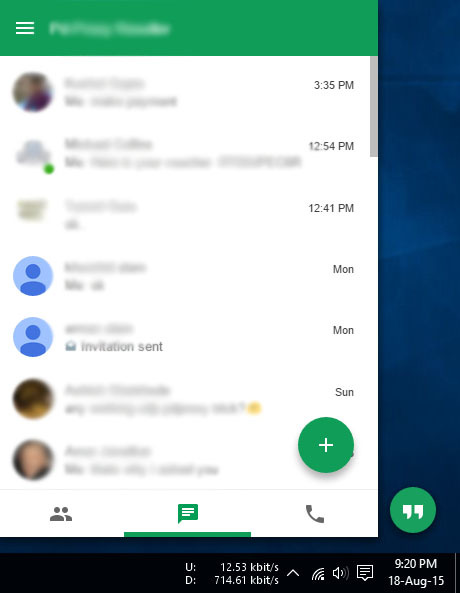 Below screenshot displays the new look of Hangouts Chrome Desktop App. 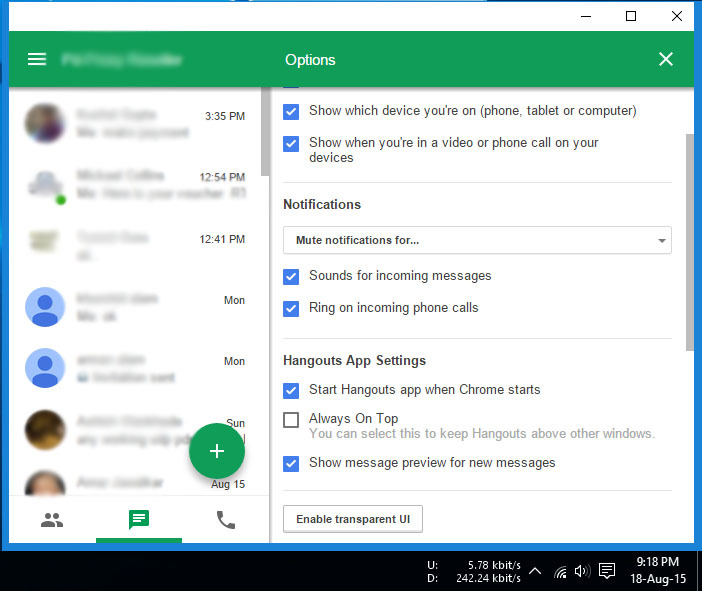 To switch to the old look of Hangouts Chrome Desktop App launch the hangouts app > go to options > and click on Enable transparent UI. 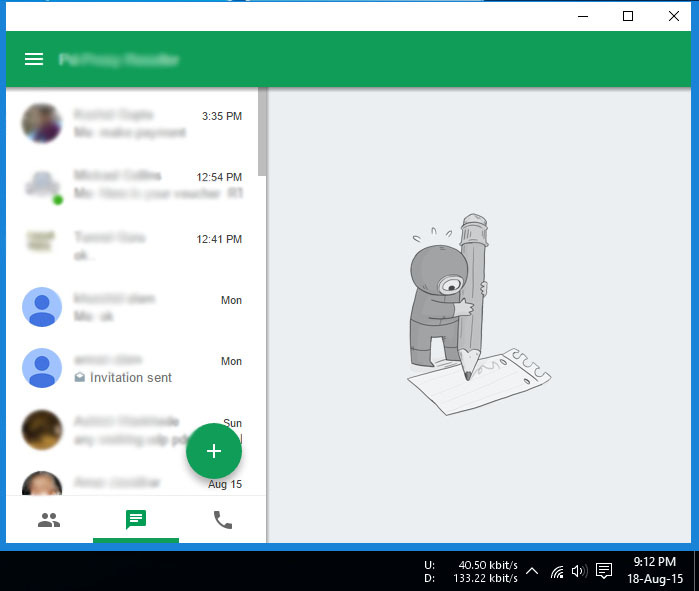 On enabling the transparent UI in Google Chrome Hangouts Desktop App the Hangouts App will reload with the old look as you can see in the below screenshots. To switch back again to the new look of Hangouts you will have to follow the same steps by going to options> and click on disable transparent UI.